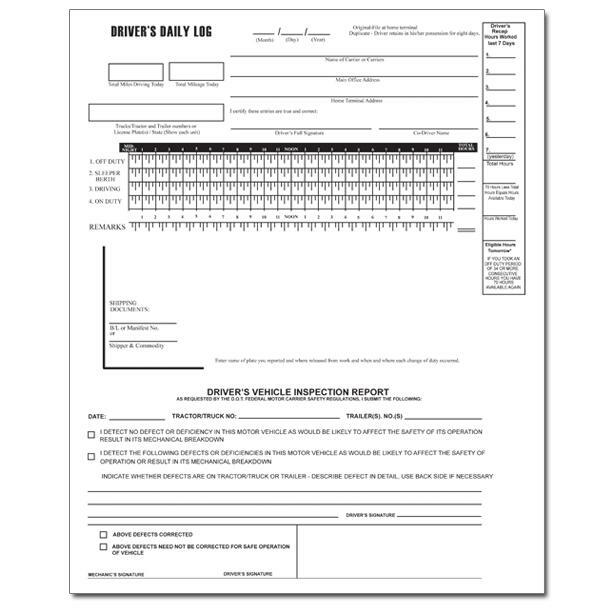 Truck driver daily log book helps to keep record of the trucker's trips as he or she transport loads on roads all over the USA. 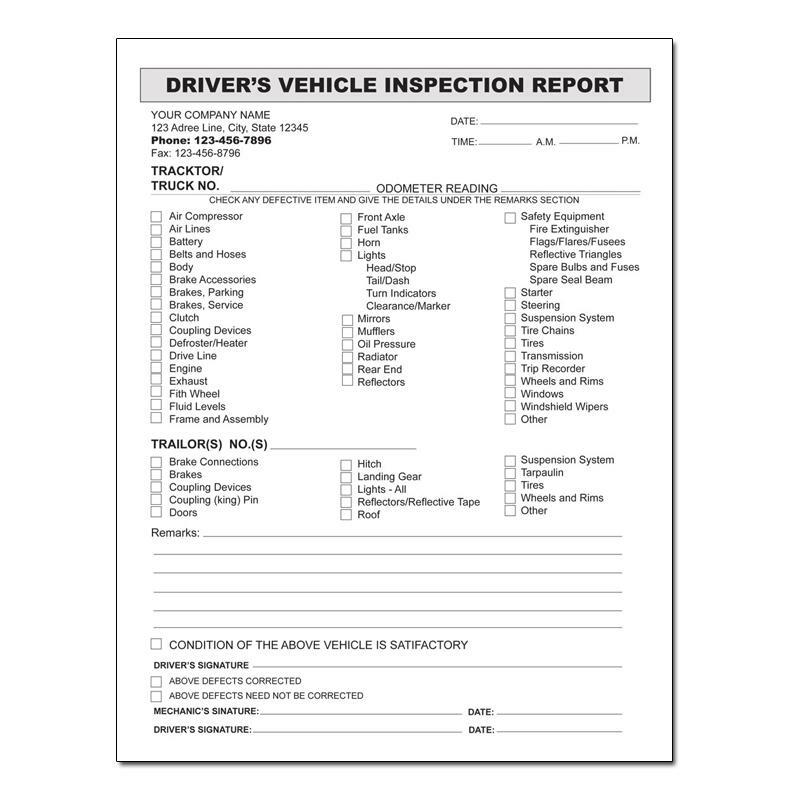 It's used to record things like dates, driver's name, destinations traveled, miles, totals distance, hours, shipper's information and more. 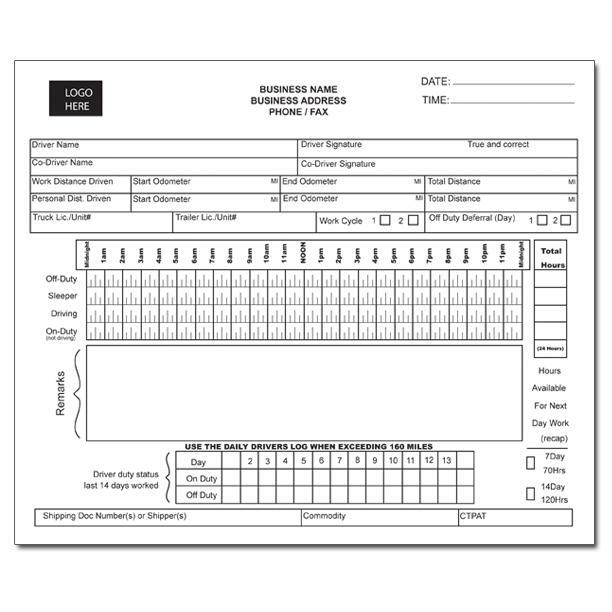 It is printed in a book format with 2 or 3 parts carbonless paper so that you will have a duplicate copy for record keeping. 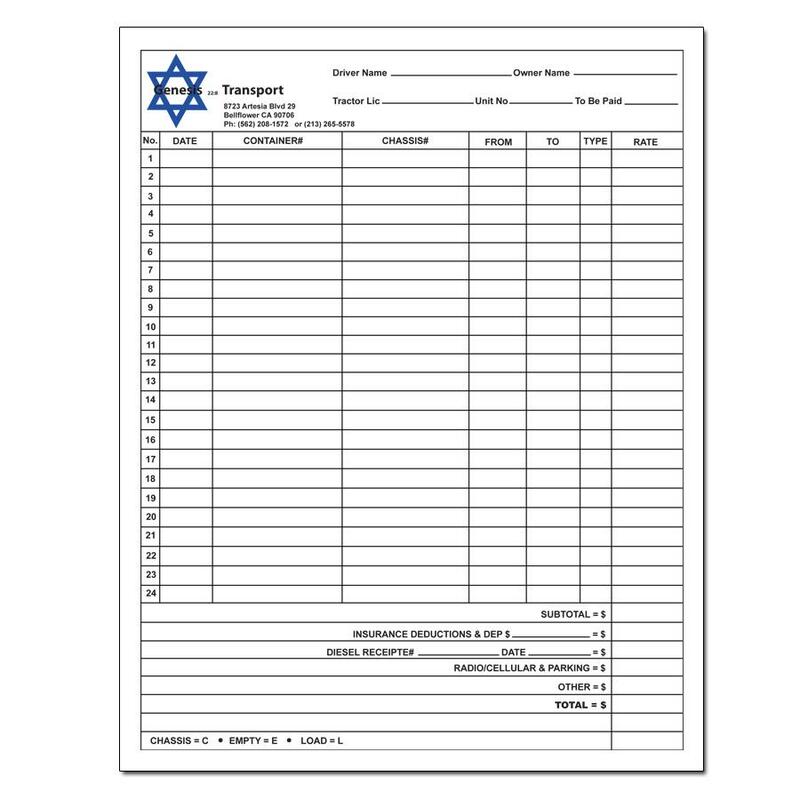 it can be numbered and customized to include a logo and company contact information. There can also be a custom front cover to help build your brand and uniqueness. The size is generally 8.5" x 7", but we can also create other sizes.